Christmas is just around the corner, and so it’s time to count down the Best British Riders of 2009. From now until Christmas Eve we will reveal the riders from 30th to seventh. The top six will be revealed in the Cycling Weekly‘s final issue of the year, which will be in the shops on December 31. Last year’s chart of the top 50 best British riders of the year was tremendously popular, partly because of the scale of success enjoyed at the Beijing Olympic Games. This year there was no Olympics but there were some outstanding performances as the British riders continued to compete on the world stage, consistently challenging and beating the best. 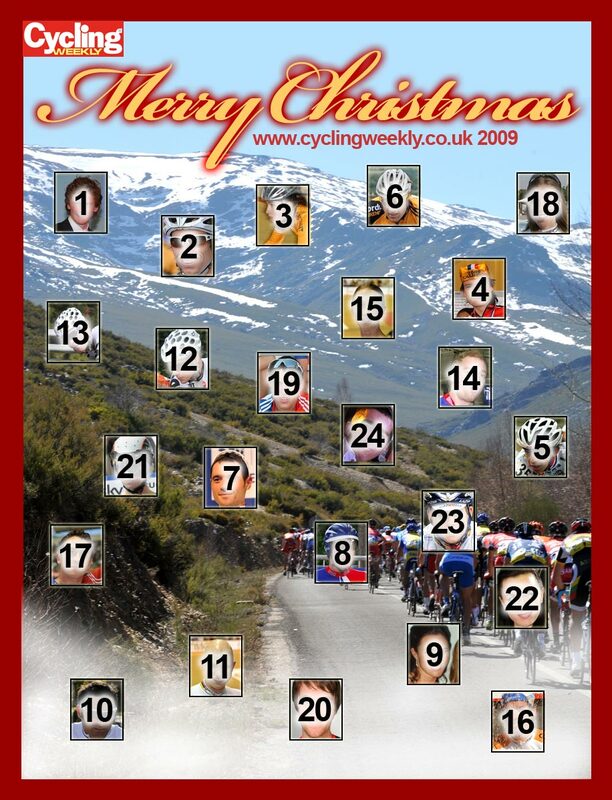 Click on the advent calendar below to find out who is behind today’s door. For previous days click on the links below the calendar picture.